Käfer by The Binjiang One regularly offers seasonal promotions and events to show the diversity of European cuisine as well as to bring European traditions and customs to Shanghai. 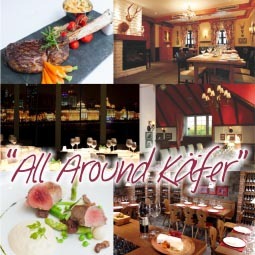 “All Around Käfer” that is the premise of this six-course signature set menu showcasing a selection of Käfer’s contemporary European cuisine with corresponding wine pairing, ideal for groups from 8-20 persons. Käfer is offering two kinds of tempting 3-course lunch sets throughout the working week, which are perfect for the hurried Lujiazui businessman. Sundays, 11:00 a.m. - 3:00 p.m.
On Sundays, KÄFER by The Binjiang One offers an elegant semi-buffet brunch, including free flow of beverages and delicious fine European delicacies. 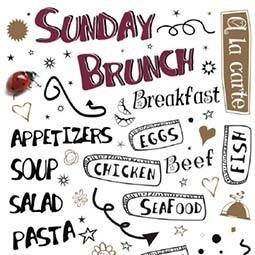 The brunch includes an appetizer and dessert buffet and a small delectable all you can eat main course a la carte menu. While enjoying their meals, guests are invited to enjoy a free flow of Prosecco, wine, juice, soft drinks, coffee and tea. Monday-Saturday, 2:00 p.m. - 5:00 p.m. The Afternoon Tea is a nice way to relax with bottomless coffee and tea and an assortment of tasty sandwiches, cakes and pastries. 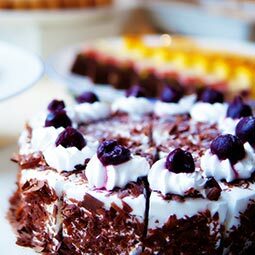 The afternoon tea set is available for RMB 88 per person. 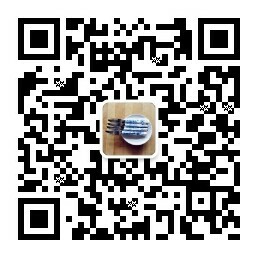 You are invited to add a glass of Prosecco to their tea sets for a small additional charge of RMB 40. Käfer by The Binjiang One is an inspiring choice for celebrating life’s most significant occasions. Our breathtaking interior and gardens are able to provide stunning settings for both intimate and larger scale wedding ceremonies and receptions. Located alongside the placid Huangpu River, Käfer by The Binjiang One also offers some of the most romantic views of the Bund for one of life’s most romantic celebrations. The Wedding Room of Käfer by The Binjiang One is providing the perfect frame for meetings and presentation in a special ambiance. 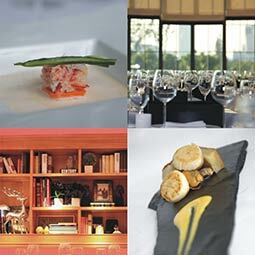 You can choose between the following two meeting packages.